My forthcoming book Money, Taste and Wine examines the tensions and trade-offs between and among the three things that make up the title — money, taste and wine — but the final chapter is a little different. It proposes that under the right circumstances money, taste and wine can come together to promote social change. The chapter is called “Groot Expectations” and it is set in South Africa. Once upon a time a concerned wine drinker might have avoided South African wine for ethical reasons — because of that country’s apartheid policies, which put a taint on all its many products. Now, the chapter argues, it is just the opposite — at least in the case of wine — because so many Cape Wineland producers are leveraging wine to promote equality and social progress. 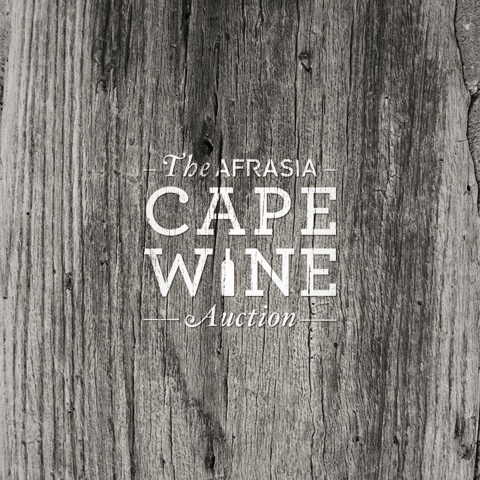 The second annual AfrAsia Bank Cape Wine Auction, which takes place on February 13 and 14, 2015 is a great “Groot Expectations” project. The auction has identified a worthy set of local non-profits to support including the Pebbles Project. The inaugural 2014 auction raised about seven million Rand (about $600,000) for charity and the 2015 event aims to exceed that amount by a good deal. The auction packages are fantastic — click here to view the catalogue of wines and experiences that are available. Definitely the sort of project that wine lovers should support. The last time I looked tickets for the live auctions were nearly sold out. The good news is that on-line bidding is available and, with the Rand at a favorable exchange rate for those of you holding U.S. dollars, it is possible to do good and do well at the same time. The auction packages are simply amazing — the donors have been exceptionally generous and creative. Some of the lots include entire barrels of wine bottled in the winner’s choice of format, which reminds me of the historic Hospices de Beaune auction. Here are a few examples of the packages to whet your appetite and maybe provoke you to make a bid. I have groot expectations about this! A one-of-a-kind vertical collection of three five litre Jereboams of Warwick Trilogy including the 2009, 2010 and 2011 vintages. Presented in a custom wooden presentation box, signed and personalised for the winning bidder. An incredible summer party for 100 friends at Warwick Wine Estate. All food supplied with catering by Warwick’s Chef. All wines for the event chosen and supplied by The Ratcliffe family. Wait. Does that say “party for 100 friends?” Yes it does! Hmmm. And the Delaire Graff Estate lot is pure luxury. A helicopter flight from Cape Town to the beautiful Banhoek Valley in Stellenbosch. A two-night stay for two people in Delaire Graff’s Luxury Lodges. A private art tour hosted by Lionel Smit. A specially commissioned set of Lionel Smit prints. A dining experience at Indochine. A gift set of Delaire Graff Botmaskop Magnums. A seasonal spa escape per guest. I like “The Godfather” lot because it honors Dr. Cluver. He’s one of my heroes for all the contributions he has made to South Africa and the world. A combination of gorgeous experiences and wine from the parents of two of Paul’s god children. An exceptional collection of 60 bottles of Paul Cluver Pinot Noir blended by Andries Burger. An amazing week-long stay at an 18th century Chateau in the Loire for eight people. There is an international celebrity element in this one: Sir Richard Branson. Three nights at Sir Richard Branson’s new vineyard Mont Rochelle. A three-course dinner for two at Miko. A private wine tasting and cellar tour. A gourmet tasting in the Country Kitchen. A 60-minute Cape Malay Spice Journey Spa treatment for two. Three nights at Ulusaba. All meals and drinks included. A private dinner. A 90 minute La Stone full body massage for two. The Swartland Revolution Lot – The Balthazar Collection. An incredible collection from the Swartland Revolution pioneers. A never before bottled 12 liter Balthazar from each of Porseleinberg, Sadie Family Wines, AA Badenhorst and Mullineux and Leeu Family wines. Never to be repeated, it is hard to imagine more of a collectors item. This is only a sampling of what’s on offer — check out the online catalog for the complete menu. Be sure to call me when you are ready to pop the cork on your Balthazar! The Cape Wine Auction lets you do well and do good. You know what to do! Can wine change the world — make it a better place to live? It’s a quite a challenge (the world is a big place), but wine certainly can contribute to the task and the 2015 Cape Wine Auction is part of that story. Read on! How can a wine auction help change the world? There are several types of wine auctions and while it is generally wine that is bought and sold the wine itself isn’t always the point. The big auction houses feature multi-day sales of rare wines and specialized collections, for example, where millions of dollars can change hands over a few lots of treasured vintages. The wine is the focus: sometimes to drink, sometimes to hold and resell and sometimes as conspicuous non-consumption collections. Then there are very specialized auctions, like the Nederburg Auction in South Africa (I was the keynote speaker at the 2012 event). This auction is more for trade than investors of collectors. It was originally conceived as a way to make older and rarer vintages of the best South African wines available to restaurants and retailers so that consumers would have an opportunity to try these great products at their peak. There is an associated charity auction that raises substantial money for local youth programs, but the focus is on the industry and projecting South Africa’s topo quality brand at home and abroad. Finally there are auctions where the charity element is front and center and where the packages on offer are not just wines but also wine-food-travel-adventure combinations that are meant to leverage wine’s central role to both broaden interest and frankly to increase the amount that the charities receive. The Auction Napa Valley, for example has raised more than $130 million since 1981 for community projects, including $10 million last year alone for local earthquake disaster relief. It is a model of how wine can contribute to social change. Wine may be just a beverage to many and the wine industry just a business, but wine’s ability to bring people together and to focus their attention on the collective welfare is really inspiring and it is the reason that it is not ridiculous to think that wine (with a little help from its friends) can change the world. 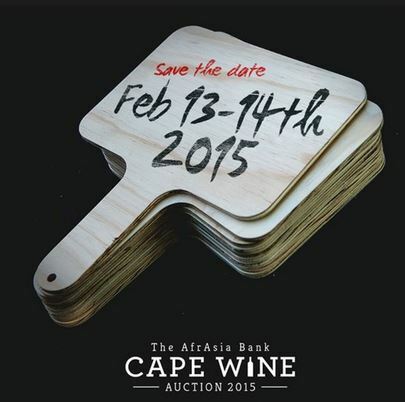 The AfrAsia Bank Cape Wine Auction, which will be held in South Africa on February 13-14, 2015, is not yet at the level of the Napa event in terms of dollars and cents, but it is off to a good start and has identified a worthy set of local non-profits to support including the Pebbles Project. The inaugural 2014 auction raised about seven million Rand (about $600,000) for charity and the 2015 event aims to exceed that amount by a good deal. The auction packages are fantastic — click here to view the catalogue of wines and experiences that are available. The organizers seek to broaden the audience this time around by inviting more on-line bidding and by encouraging wine enthusiasts to schedule a visit to the Cape Winelands to attend the auction in person. Not everyone has the time and resources to do this, of course, but if you do it’s an invitation that is hard to resist. February is summer in South Africa and the weather is ideal. Add to this the weakness of the South African currency, which now trades at a bit over 11 Rand per Dollar, making both an on-line bid and a tourist visit more affordable (it was about 8 Rand per dollar for me in 2012). Seriously, South Africa is a bargain right now if you hold dollars, pounds or euro. Sue and I visited South Africa in January and it was one of the best wine tourist experiences of our lives — I even wrote a column speculating that the Cape just might be the best wine tourist destination on earth. This appeal plus the obvious satisfaction that comes from helping the charities that the auction supports are good reasons to look into this opportunity. Kudos to the many wineries and their partners who have collaborated to create the auction lots. Congratulations to Mike Ratcliffe and his team for the success of the 2014 auction and the great potential that the 2015 event displays. I hope the Cape Wine Auction gives the Napa folks a run for their money — that kind of race to the top can only benefit both the wine industries and the social initiatives that they support. Cheers! Here are the charities that the Cape Wine Auction supports. Where will I be during the Cape Wine Auction? Not, there, alas. In fact, I’ll be about as far away as possible from South Africa — in Alaska, doing events to support the World Affairs Council groups there. More about that in a future column. Wines of South Africa has released a series of videos celebrating the twentieth anniversary of democracy in South Africa. They call it The Democracy Series. I’ve inserted the first of the eight short films above, but I recommend watching them all. What do freedom, equality and democracy have to do with wine? I don’t have a general theory yet, but I can tell you that they are very closely linked when it comes to South Africa. The birth of democracy coincided with the end of apartheid’s long years of isolation for the country and its wine industry. To a certain extent, the country and its wine industry were both reborn two decades ago. As a reader noted in a comment to a previous article in this series, once upon a time not so long ago many people shunned South African wines and investments, etc. because of the lack of equal rights in that country. Things are much different twenty years on and The Democracy Series is a good way to make the point. Now, as I will try to explain below, a person with ethical concerns might well seek out South African wines rather than boycott them. Thandi Wines, the subject of the first video in the series, is a good example of how wine and democracy can mix. Thandi, which means nurturing love in the Xhosi language, was started in 1995 on the initiative of Paul Cluver. A partnership that includes more than 250 farm worker families in Elgin, it was the first black economic empowerment project in the agriculture sector and is today one of the most successful of them. In 2003 it became the first Fairtrade certified winery in the world! Thandi’s success has been contagious: South Africa now leads the world in Fairtrade wine. My South African friends point out that not all black economic empowerment initiatives in the wine industry have been as successful as Thandi or the other examples shown in the video — much is left to do, they say — and more resources are needed. South Africa’s social and economic problems are very large and I think it is important that wine — one of the country’s most visible global industries — is part of the solution. My good friend Aaron, who works on economic and social development projects around the world, once told me that he aimed to change the world one diaper at a time. His point was that while a lot of attention is focused on big money projects, micro-initiatives that change living conditions for even just a few families can have great value when replicated and compounded over time and space. If enough people take small actions and together change enough diapers for a long enough period of time, the theory goes, pretty soon they will have changed the world. I think of Thandi as a model of the one diaper theory put into practice for wine and when we visited Paul Cluver and his family we saw that there is actually more to it than the winery. We attended a children’s theater performance at the Hope@Paul Cluver outdoor theater, which is set in a eucalyptus grove on the Cluver farm. The profits from the theater’s programs support local efforts to deal with HIV, TB and terminal diseases and to care for the children of the stricken. This is just one of several local initiatives that Cluver supports. Do you see the one diaper connection? We saw many other examples during our visit. Even though it is the largest South African export brand in the U.S., for example, there is no way that the de Wet family of Excelsior Wine Estate can by themselves solve all the economic and social problems in the Robertson region where they are located. So they take small but important steps: resisting mechanization, for example, to preserve farm jobs in a region with high unemployment and making a serious effort to promote workers into jobs with more responsibility, moving them up the ladder. We saw this moving up notion at work when we visited Gary and Kathy Jordan at the Jordan Wine Estate in Stellenbosch. Attention to workers and their conditions was a founding principle at Jordan, where worker housing was built before the owners’ own home in the early years. Jordan has encouraged farm workers to move up by sponsoring education, including advanced WSET classes in some cases. Jancis Robinson recently wrote about another innovative Jordan program to provide “South Africa Women in Wine” internships. Education is obviously a key element of any one diaper program and we saw winery worker education initiatives in many places. One of the most striking was at Durbanville Hills, which is a partnership between drinks giant Distell and a group of local farmers. Social justice has been a goal from the start for this winery, which formally includes workers in the profit structure and on the managing board. Albert and Martin took us to a pre-school that the winery runs to get the children of farm workers off to a strong start. The winery support for education, paying school fees and so forth, continues as far as a child can go in school. While South Africa’s economic and social (and health and environmental) problems remain daunting, the wine industry it taking a stand, which is symbolized by a seal that you will find on almost all South African wine. The Democracy Series videos show us what is possible. There is much left to do, of course, and an understandable debate on when, what and how to move forward. Sometimes it seems like common commitment about what needs to be done is forgotten in disagreements about strategy and tactics. What’s important is that debate does not become too divisive and that inertia continues to build and change takes place. Because change is what’s important. Even if it comes one diaper at a time. Thanks to the De Wet brothers, Gary and Kathy, Albert and Martin, and Annette. Special thanks to Aaron.